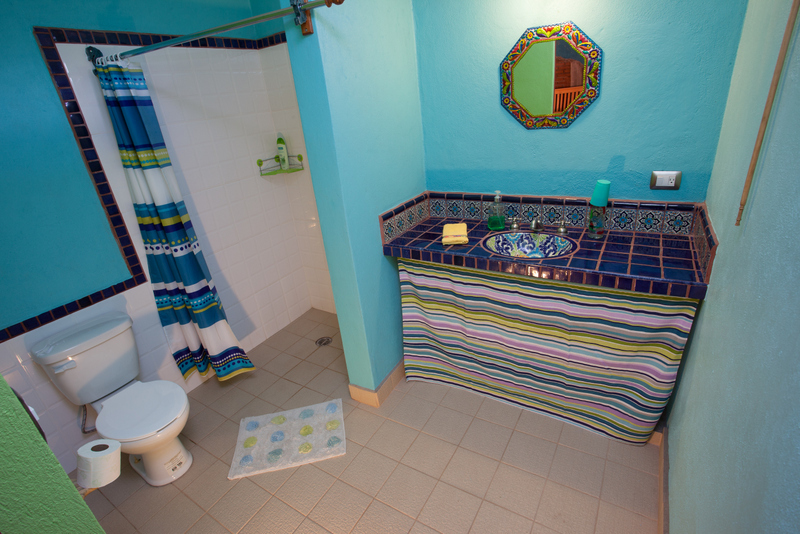 For a short- medium- or long-term rental suite, please contact us in advance to ensure availability. 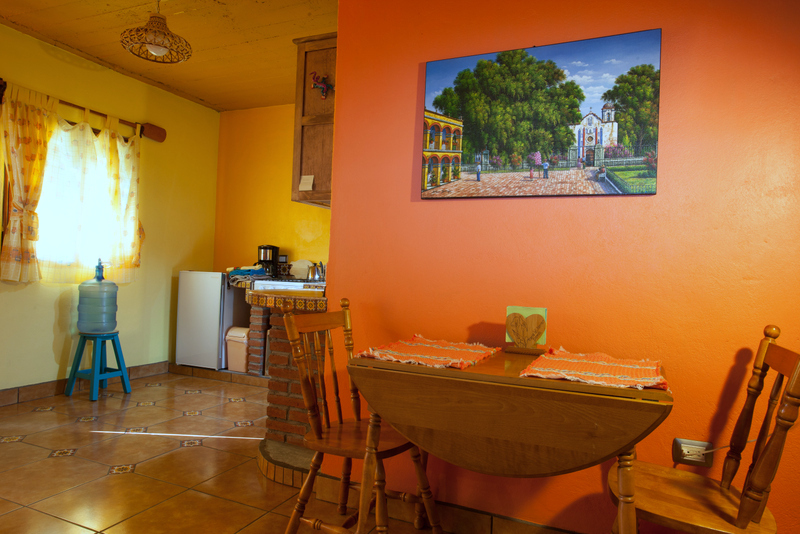 Our self-contained casita sleeps up to 5 people, complete with cable TV and fast WiFi. 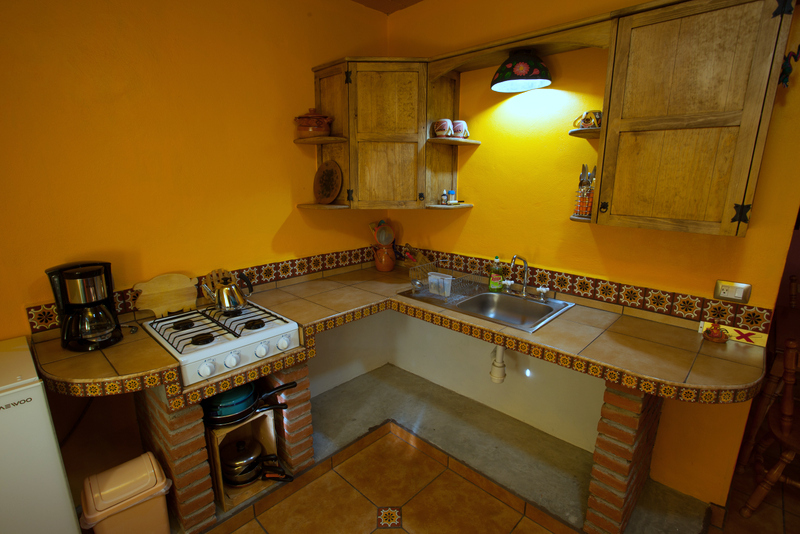 The kitchen has a fridge and 4 burner stove, solar hot water in the private shower. Private patio looks onto a spacious shaded garden. Two bicycles available for guest use. 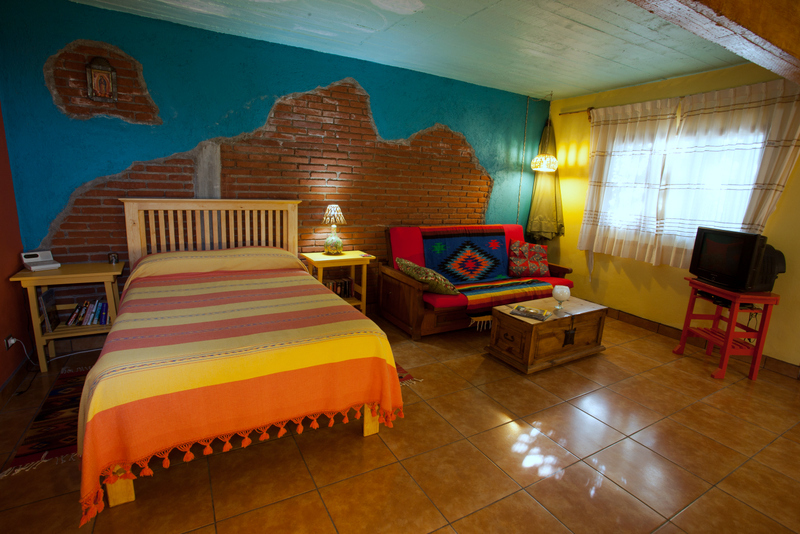 Nearby are restaurants, stores, laundry service, drugstores, handcrafts…you need it, just ask. Sorry, no pets in the casita. Most comfortable for two, but can accommodate two more on the sofa-bed and another on a folding cot.